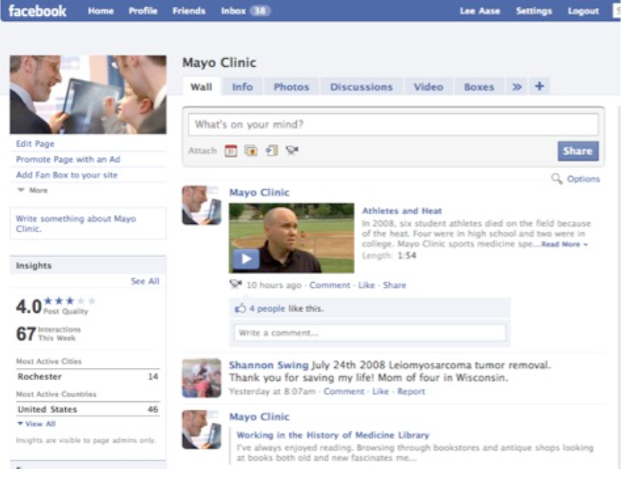 Ten years ago today Facebook officially welcomed organizations and businesses to participate, and Mayo Clinic joined on Day One: November 7, 2007. 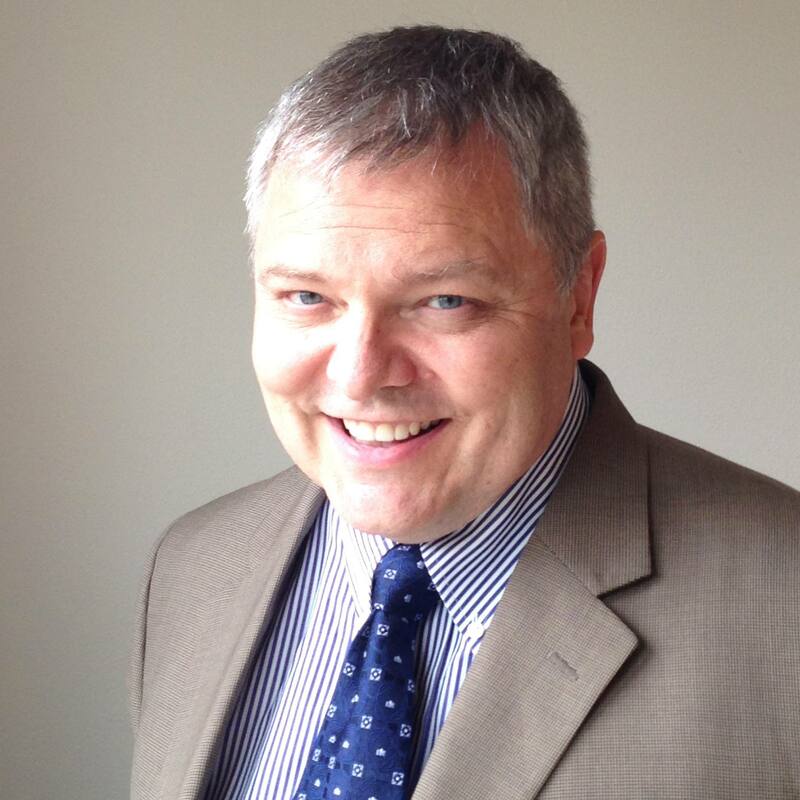 As manager of our media relations team, I was personally involved on Facebook for several months and had been writing about it enthusiastically on my blog. In fact, even when groups were the only mechanism available, I wrote that organizations should join the Facebook land rush and outlined 10 top business uses for Facebook. On August 15 I opined that maybe Mark Zuckerberg wasn't crazy to turn down $1 billion acquisition offers. While I was a few years early in my projection of when Facebook would sign up its two billionth user, I don't think anyone would have envisioned that today the market capitalization of Facebook would be more than $522 billion, almost twice that of Wal-Mart. 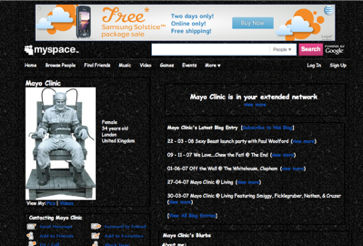 My pretext for creating a Mayo Clinic Facebook page 10 years ago today was the experience we had on MySpace: a British rock band adopted our name and already created a MySpace page, complete with some decidedly “off-brand” imagery, before we even considered becoming involved in social media. 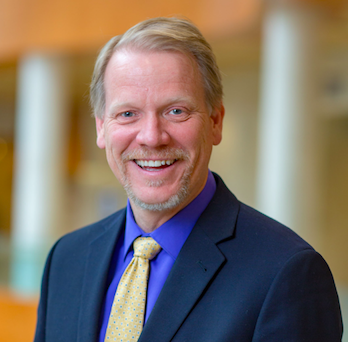 That enabled me to get same-day approval from our department chair to create a Mayo Clinic page on Facebook, to prevent a recurrence of the MySpace experience. So while I would have advocated Mayo Clinic’s involvement in Facebook anyway, our initial presence was, at first, a defensive measure. Our first year on Facebook was really low-key. We didn't publish much at all, and we certainly didn’t publicize our page. By the end of 2008 we had about 3,000 “fans” and 130 total comments. This was our Hippocratic era on Facebook, or in research lingo it was a Phase I trial. We wanted to show that Facebook at least wasn’t harmful. That early experience on Facebook helped us get into social media in a much bigger way. Only one of the 130 first-year Facebook comments was negative, which helped us allay fears when we proposed starting blogs. To those who thought the comments would be biased toward those with a negative viewpoint, we could point to a track record that showed the opposite. Today, more than a million people like the Mayo Clinic page (1,028,761 as of this morning). While we had 130 total comments on our page in the first year, we now average 130 a day. People who visited the page could see Shannon Swing's comment and, even better, her friends received a notification that she posted. No doubt many of them liked our page as a result or shared with their friends. While our positive comment percentage is somewhat lower than the 99.992 percent from the first year, our Facebook experience overall has been immensely positive. When did your organization start its official Facebook presence? What benefits have you seen? Although the Mayo cares for only 4 times the number of patients of my prior healthcare organization (which started about 2 years later) the Mayo has about x 193 Facebook likes and X 681 the number of Twitter followers. I would say at Phase 2, general branding right now. Part of this is certainly an apples to Oranges comparison issue, which could explain a one order magnitude difference, but a 2-3 orders of magnitude difference suggests you have achieved a certain non-linear type growth. I am curious,- if you can say – early on were specific organizational metrics for followers(Twitter) or Likes(FB) established as targets, or were other metrics a higher priority? (Comments, RTs, etc)? Put another way, how did you measure success? Thanks, Matthew. Our metrics early on were just the basic ones of “fans” on Facebook and followers on Twitter. 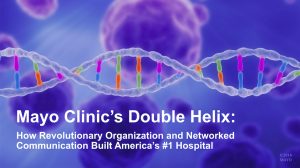 I think some of our early growth came from being among the first health care organizations on these platforms, and the fact that Mayo Clinic already had a strong reputation. While we are definitely interested in overall reach of our posts, the focus now is on engagements, and particularly on shares and RTs. Click-throughs to our web sites is another important outcome. In some instances we do have specific conversion goals (such as for event registration) and so then we go beyond click-throughs to completion of registration. It’s interesting to think that 10 years ago Facebook was completely noncommercial, just as the web was in the mid-1990s. It has definitely come of age.